NorthEdge Capital has invested for a significant majority stake in facilities management company Orbis Protect, backing an MBO with the existing management team led by CEO Guy Other and COO Ben Howard. 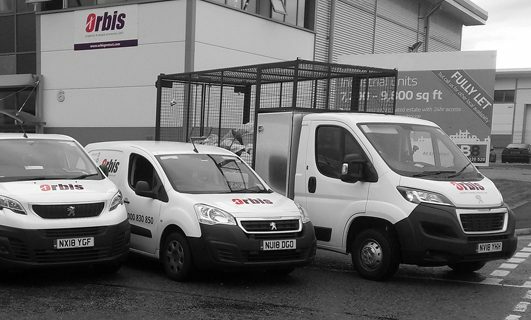 Employing over 400 staff across its network of 19 depots, Orbis Protect provides a range of vacant property management and lone worker protection services to public and private sector clients throughout the UK. The company is headquartered in Uxbridge, with an extensive national depot network including a significant presence in the Midlands with the senior management team based there. The business works with local authorities and housing associations as well as major commercial organisations, including retail chains and commercial property managers, to secure 30,000 void properties, protect 25,000 lone workers annually and provide property and inspection services to a further 60,000 properties. NorthEdge’s investment will allow Orbis Protect to build on its strong platform and excellent market position in both the social housing and commercial sectors and continue its attractive revenue growth profile in both core and new product areas. The deal was led by Rob Freer, Head of Midlands and Andy Skinner, Investment Director with support from Kevin O’Loughlin, Phil Frame and Dan Matkin. Rob Freer will join the board in a non-executive capacity. Rob Freer, Head of Midlands at NorthEdge Capital, said: “We are delighted to support Guy and the existing management team at Orbis Protect with this investment. Having developed a broad range of social housing and commercial services and an exciting offer in terms of its lone worker protection service, the company has become a leadingplayer with the potential to grow further. A strong team of Midlands advisers worked on the transaction. Deloitte (Darren Boocock, Nick Carr, Mike Craven)(Corporate Finance), Browne Jacobson (Gavin Cummings, Michael Stace, Charlotte Cannell, Emma Hinton)(Legal), BDO (Financial Due Diligence), Teneo (Commercial Due Diligence), PwC (Tax), KPMG (IT), SRS (Management) and Marsh (Insurance) advised NorthEdge Capital. RSM (Rob Donaldson) advised the Vendor.